We’ve shared many of our Selection anecdotes here on the pages of SpecialOperations.com the past two years and it is always refreshing to see someone else’s perspective especially if the person is in one of our allies Special Operations units. This one account is a really close look at one officer’s Australian SAS experience. It is a lesson for those of our readers who are attempting or soon to attempt one of the service’s Selection courses. And for those who may not know this, but when the initial SFAS course was designed back in 1988, (then called SFOT), the first commander of the cadre Major James Velky and the XO Captain Mike Dunford had spent time with Australian SAS and the first “team events” were taken straight out of their book. When something works, don’t mess with it…right? It’s fair to say that service with Special Forces changes a person and that the process of profound change commences on the selection course. Reflecting on the selection course that I underwent more than a decade ago, I can see that it was a pivotal point in my life both personally and professionally. I entered the Australian Army at age 23 on a scholarship to study medicine after a failed attempt at a career as a professional triathlete. I first became aware of Special Forces a year later through my brother, who had successfully completed selection for the Australian Special Air Service Regiment(SASR). From the moment I got a glimpse at what that unit did and met some of the blokes involved, I was hooked and I had to be a part of it. As it transpires, it would take me seven more years to be allowed to attempt SASR selection, and I would spend the five years subsequent to that serving with Australian Special Operations, including four tours of Afghanistan. I am not the same person now that I was when I stepped up for selection all those years ago. My service has changed me. I can see now that the process of change for me truly began on the SASR selection course, and the following are the two key lessons that I took away from those three grueling weeks. From the outside, there is a perception that Special Forces soldiers are a superhuman species endowed with physical and psychological attributes out of the reach of the average person. While I accept that there are some exceptional, genetically-gifted individuals among SF units worldwide, in my experience, for the most part, SF is made up of average guys and girls with above-average persistence. I know this because I am one of them. I stand 175 cm tall (5-foot-6), weighing 70-odd kilograms (154 pounds) on a heavy day, and I was the smallest officer on my selection course by a decent amount. When I toed the starting line of the course, I had spent a mere 18 months in uniform, having spent the six years of my army career previous to that in medical school, then working as a junior doctor in civilian hospitals to gain experience before my first posting to an army unit. I lined up on selection next to 40 officers who all had significantly more experience than me, and yet I was among the five officers who successfully completed the course that year and were considered suitable for ongoing training with the unit. I don’t offer this information for self-promotion, but simply to illustrate that the sole factor that led to my success on selection, as well as my subsequent time with SF, was persistence. Mental aptitude and learning ability were fundamental, and I figured I had that one covered through the process of medical schooling that I already had underway. Fitness was an obvious requirement so I started logging hundreds of kilometers of pack-marching and running, as well as thousands of push-ups and chin-ups. I’d read that languages were an advantage so I signed up for Arabic language night school and thrashed away at that for three years, reaching an intermediate level in the spoken and written language. Scuba diving seemed relevant so I joined a dive club and started logging hours underwater. Rock climbing looked like a useful skill so I started to spend weekends scaling local cliffs. Shooting proficiency was a must so I joined a gun club and began putting thousands of rounds downrange from both handguns and rifles. The irony was that I never used my Arabic language skills during my military service, never did a single military dive, never had cause to climb rocks in a military capacity, and didn’t fire a single round from my handgun in anger during my service. All those hours of training were not lost, however, for what I was developing was the discipline of persistence. By the time I got to the start line of selection, my mental resolve had been strengthened to the point there was no way I was going to quit. Barring injury or forced removal from the course, I was convinced that I would be there at the completion of the three weeks and it would be up to the unit to decide my suitability. Once the course was underway, I watched as soldiers smarter, fitter, stronger, more experienced, and more naturally-talented than me quit at an astonishing rate. Some 160 candidates very quickly atrophied to half that number, and then to 36 over the three-week course. Throughout the entire course, I was never the top candidate in any activity, and I failed my initial timed 20-kilometer pack march, being required to re-test on the activity before achieving a pass. Toward the final days of the course, my body was racked with infection and began to fail me, but my mind stayed strong and allowed me to persist. When all was said and done, I was mentally and physically exhausted and broken, however, simply by persisting, I was lucky enough to find myself among the 15% of starters that year who finished the course and were deemed suitable for ongoing training with SASR. Persistence truly was key. physically-bigger blokes. In analyzing this observation, I’ve come to consider that being average throughout life may indeed be an advantage for the Special Forces selection process. Let me explain. 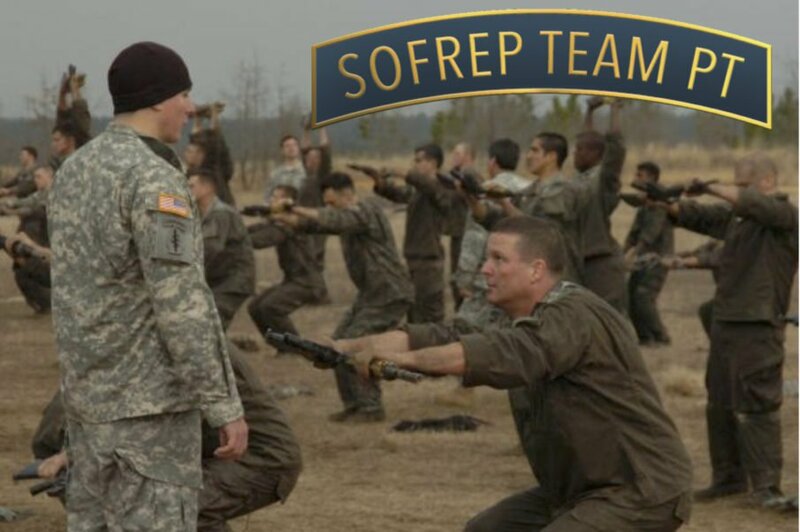 For a candidate to reach the starting line of a SF selection course, they must have already completed a degree of screening to suggest they meet the minimum criteria to potentially be suitable for service with Special Forces. They all therefore meet a minimum required baseline standard, however, there will be a significant degree of difference in the effort an individual has been required to put in to meet that standard. Naturally, more gifted and stronger candidates will meet the standard more easily and can often breeze through the pre-selection process. As a generalization, these soldiers will have excelled throughout their lives, being sports stars at school and oftentimes coming from the elite elements of regular army units such as recon and sniper platoons. Those soldiers will often have held a high degree of status in the unit they came from and are likely used to praise and accolades, allowing them to develop a healthy degree of associated ego. Contrast this with the candidate who is not as physically or mentally gifted, and who has had to struggle throughout his life to meet the same standard. This soldier was never the one picked first in gym class, was never the star on their high school sports team, never excelled at school despite their best efforts, and has had to grind their entire life to be anything above average. To achieve the minimum standard required to be considered suitable to attempt Special Forces selection, these soldiers have generally had to dedicate years of their lives bettering themselves. They are not accustomed to praise and are generally quite used to criticism, oftentimes using it as fuel to strengthen their resolve towards a goal. These are the small dogs that, through persistence, have developed an abnormal amount of fight. Contrast these two classes of candidates as they get underway in a brutal selection process that is very deliberately characterized by the psychological stress of near constant failure to achieve set tasks, varying levels of verbal abuse, and regular suggestion from Directing Staff that the candidate is not up to the standard required for the unit and should consider quitting the course. Throw in the added cumulative stressors of sleep- and food-deprivation, and it has been my observation that the big dogs with less fight quit at higher rates for the simple fact the selection environment is so foreign to them and challenging to their ego. They know they can return to their previous unit and get back to their familiar role with its relatively high social status. The little dog with lots of fight is used to this environment. It is simply an extension of what they have experienced their whole lives, so they knuckle down and push forward. Of course, there are exceptions to this rule and you unquestionably do see the big dogs with plenty of fight that successfully complete selection and go on to great careers with Special Forces, and these guys are a force to be reckoned with. However, in my experience, it’s the smaller–more unassuming–soldiers who are the ones to back for success.